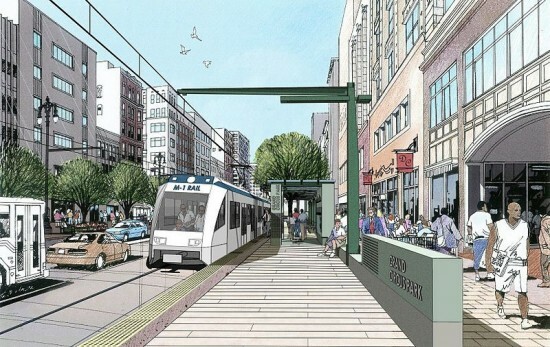 Outgoing U.S. Transportation Secretary Ray LaHood announced recently that Detroit’s M-1 Rail project, aka the Woodward Light Rail Line, will receive $25 million in federal TIGER funding. The plans for this 3-mile long light rail system along Woodward Avenue will include 11 stops running from the city’s downtown to New Center. According to the Detroit Free Press, $100 million has already been raised of the light rail line’s $140 million price tag. Officials said the first trains could be running by the end of 2015.